Who are the Medicare Auditors? CMS has entered into contracts with numerous auditing companies to review provider billing for various purposes. As time goes by, it is more and more likely that billings submitted by almost every Medicare provider will be subject to review by one or more of these audit contractors. 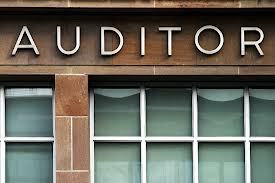 Set forth below is a brief description of the auditing functions of the various CMS auditors. What this means is that a MAC, unlike a RAC, does not have to obtain CMS’ approval of what procedures it will subject to prepayment review. Also, there is currently no limitation, other than the MACs discretion, as to how many Additional Document Requests (ADR) a MAC may make. If the MAC feels that a certain procedure is being miscoded or that there is no medical necessity for a procedure, it will conduct a prepayment review of each claim submitted for extended periods of time. This means the provider will be subject to ongoing requests for records and suffer a substantial negative impact to its current cash flow. A demonstration Recovery Audit program was authorized by § 306 of the Medicare Prescription Drug, Improvement and Modernization Act of 2003 and conducted from March 2005 to March 2008, in six states, to determine if Recovery Auditors could effectively be used to identify improper payments for claims paid under Medicare Part A and Part B. The Tax Relief and Health Care Act of 2006 made the program permanent and expanded it to cover the entire country. To implement the program, CMS divided the country into four regional areas. Items or services that do not meet Medicare’s coverage and medical necessity criteria. Services where the supporting documentation submitted does not support the ordered service. Automated reviews conducted by the RACs typically focus on DME, physician and outpatient claims and do not require the production of additional records by the provider. Complex reviews, which do involve the production of additional medical records by the provider, involve coding issues, Diagnosis Related Group (DRG) validations and medical necessity reviews. CMS must approve the issue a RAC wants to review and has imposed limits on the number of medical records a RAC may request. Each RAC has established a website that lists, among other things, the claims that have been approved for audit. Refer cases to law enforcement for consideration and initiation of civil or criminal prosecution. To help providers and others identify the auditors working in each state, CMS has prepared an interactive map. Clicking on a state will display a list of each contractor providing audit services in that state. Please contact us if we can be of any assistance in explaining the workings of the Medicare-Medicaid Audit World or in helping to resolve an issue with any of the legion CMS auditors.